A campaign battling for greater transparency in loaf labelling has a very strong argument. Bread labelling is still not as clear as it should be, according to food and farming charity Sustain, which has been campaigning since 2008 for a change in the law to give customers more clarity. With its Real Bread Campaign, Sustain is calling for an Honest Crust Act that would require, among other stipulations, bakers and retailers to provide full ingredient lists, including processing aids and artificial additives, and declare additives in the flour used to make the bread. Why is it such a big deal? Well, you can’t sell milk as 'milk' if it has anything at all added to it. When butter contains anything but salt, you can’t call it butter. Bread, on the other hand, can contain a whole host of extras and you can still call it bread. Commercial bakers use a range of additives including chemicals to aid processing and proofing, and these don’t have to be advertised if deemed 'processing aids'. The stance taken by the campaign is that anything beyond flour, water, yeast and salt is "by definition, unnecessary". However, 95-97% of loaves bought in Britain don’t meet these simple requirements, and contain additives or are processed with them. Furthermore, if you buy from a supermarket in-store bakery, the bread doesn’t have to come with an ingredients label. The Real Bread Campaign says that this means you can’t make a truly informed choice. There’s also an issue with what are termed 'bake-off' products, which are partially baked or prepared elsewhere before being finished off in-store, being sold as 'fresh', for example in convenience stores. So it’s not always clear what you’re buying. 'Real Bread' is defined by the campaign as that which is "made without the use of processing aids or any other artificial additives." It doesn’t mind additional ingredients such as nuts, seeds, herbs and so on being used, so long as these contain no additives themselves. The Real Bread Loaf Mark is used by bakeries who have signed up with the campaign and pledged to use the mark only for Real Bread. This means that the loaf you buy is made with all-natural ingredients, without the use of processing aids or additives. The Honest Crust Act is unfortunately some distance from finding real support within the Government. However, Real Bread Campaign co-ordinator Chris Young told loveFOOD that the Advertising Standards Agency (ASA) has recently recognised the label 'Real Bread' as a term that should be reserved for bread fitting the campaign’s standards only. 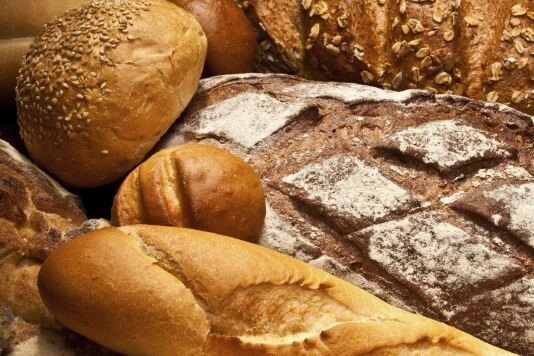 A bakery chain with around 30 stores, which we can't name for legal reasons, was taken to task by a supporter of the campaign about its use of the slogan 'The Home of Real Bread' despite using additives. The chain also claimed its loaves were 'hand-kneaded' and 'additive-free' but later admitted that it used machines and the dough contained additives. The ASA investigation team responded to the supporter’s complaint with a draft recommendation to uphold the complaint, at which point the chain withdrew their advert. The ASA team also said that people "were likely to associate the term Real Bread with the Campaign, and therefore [references to ‘Real Bread’] were likely to mislead consumers" which recognises the legitimacy of the campaign’s efforts. Chris points out that, once upon a time, the adulteration of bread was illegal, but labelling laws obfuscate information for customers and legislation allows manufacturers to put extra chemicals into their products. Though the benefits of genuine wholemeal bread were promoted in the late 1970s, and bleaching agents were banned in the 1990s, there’s still plenty of room to progress towards transparent packaging. In the past, two brands of bread were signed up to the Real Bread scheme, but none are at present. "In general, the attitude of the industrial loaf makers appears to be along the lines of 'we comply with the law and meet a demand for things that are safe, long-lasting and cheap'," comments Chris. But he thinks that it’s wrong that manufacturers can "put all sorts of artificial additives in their products and still market them as 'bread'." You might see the word 'artisan' and think you’re buying something special, but in many cases it's just a marketing ploy. Chris says that "artisan is one of the words that has no protection – anyone can call him or herself an 'artisan baker' and any factory can churn out 'artisan bread'". People associate exclusivity with the word, he comments, and that’s why a Real Bread definition is necessary – because you can’t trust everyone to be completely upfront with their customers. But what about the price the customer pays? Chris comments that "the profit margins of running an independent Real Bread bakery are very tight" and that a range of factors from local rent to the price of ingredients dictates the retail price. He says that "it’s unlike any are charging very much more than they absolutely have to. I’ve yet to meet a Real Bread baker with a Rolls Royce… The power is in the hands of the shopper, though. If the price isn’t right for you, then walk away." The real problem is that there’s no legal definition of the word, so Chris recommends that shoppers "should ask questions to find out the story behind any loaf" that they’re unsure of. Furthermore, he suggests that the more interesting question to ask is why branded and 'premium' supermarket loaves cost "around three times the price of 'value' loaves produced by the same process, and, in some cases, manufacturers." While the Honest Crust Act is not on the brink of implementation, each loaf has a story behind it, and some are more savoury than others. The key questions you need to ask are: "Who made it, when, where and with what?" If you're wanting real, unadultered bread, you need to use your loaf. Do you support the Real Bread Campaign? Let us know your opinions in the Comments below.